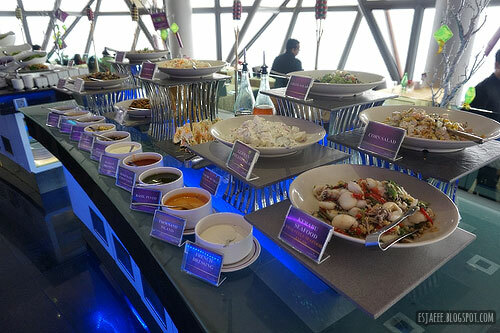 Anyways, when my mom and I were planning our trip to KL, she mentioned that we should have lunch at Atmosphere 360 since her friends recommended it to her. You might be asking what is so special about this restaurant? My answer, duh the food? Just kidding! 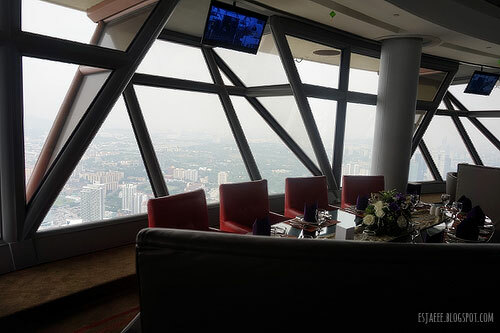 Atmosphere 360 is a revolving restaurant located in Menara, KL. 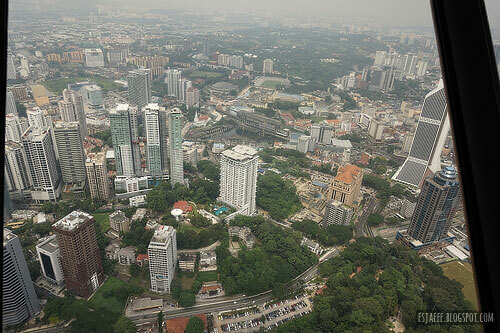 Menara is also known as KL Tower. 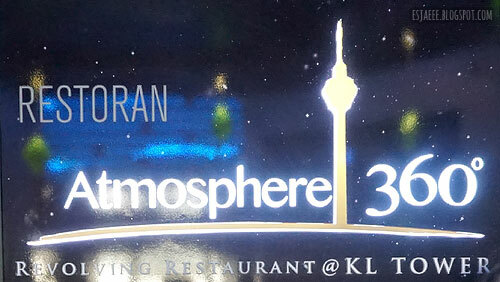 Before we got in KL, we have booked ourselves reservations to have lunch at Atmosphere 360 from their website. 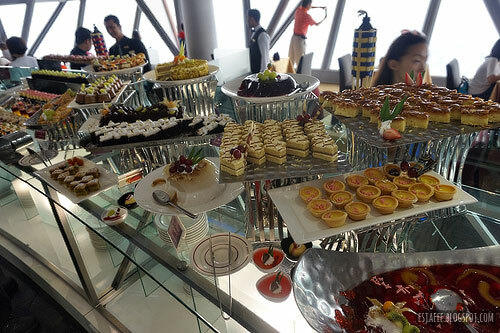 It is a buffet restaurant that offers a variety of food and an amazing view of the city. 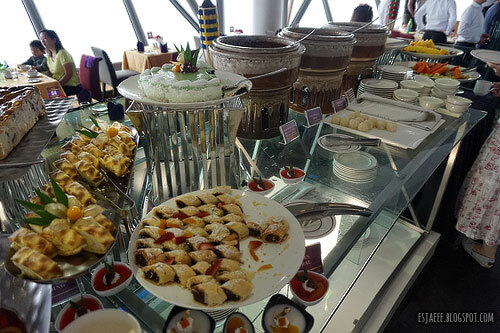 The lunch buffet costs 92.45 RM per adult which is about €21. At the restaurant's reception, my mom presented her ID and her reservation number for the staff to accommodate us. It is possible to be a walk-in guest, however there would be times that they could get fully booked. We happened to be 30 minutes early than our reservation, but they accommodated us anyway. At the time that we were there, they were having an offer. So instead of paying 92.45 RM, we just paid about 60 RM each (€14). After checking the reservations, the staff lead us to the elevator. 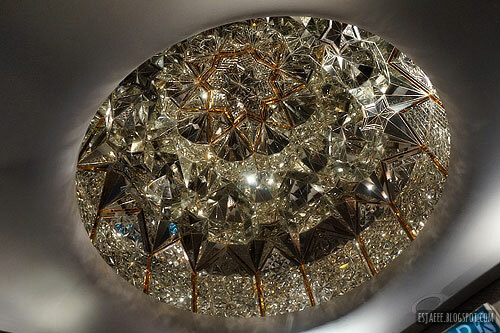 We could not help but admire their ceiling decorations. Beware that the elevator is fast and can cause a little pressure in the ears. One might think that buffet restaurants are not that great but this place screams class. The dress code for lunch is casual however, my sister's boyfriend was wearing a tank top and it was not allowed. Good thing he brought an extra shirt. Dinner dress code is formal according to my mom's friends. I was amazed with the view of the restaurant. 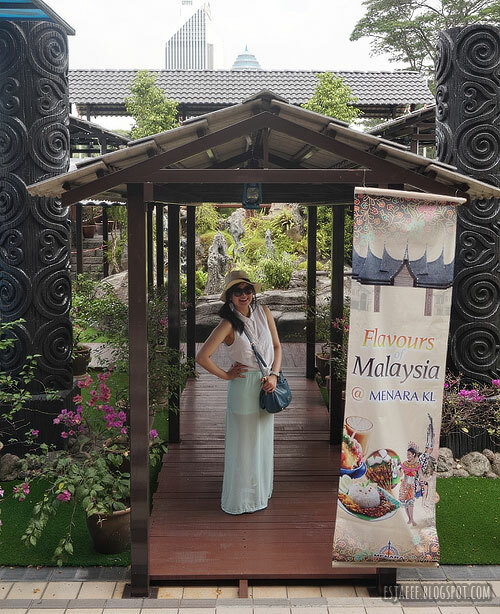 We saw Petronas Towers as the restaurant revolved in 360 degrees. Now let's talk about food, shall we? For round one, I mixed in my appetizers and main course. 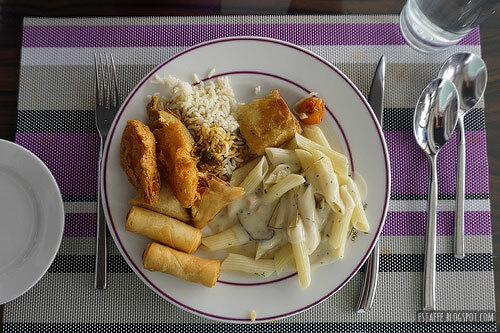 I really thought that the samosa, Thai red curry and spring rolls were tasty. The carbonara penne was okay. To be honest, my sistar Bianca does it better. After round one, we could not help but take a photo with the view. Too bad the lighting wasn't the best. 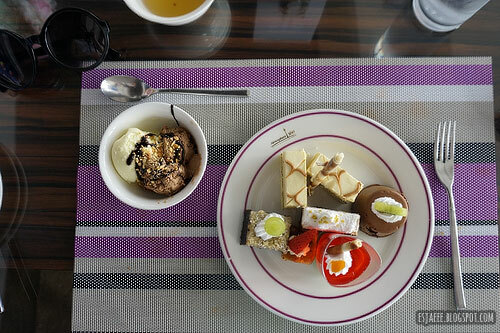 They had a bunch of desserts both known and unknown to me. They had a dessert made out of durian that I was too much of a coward to try! 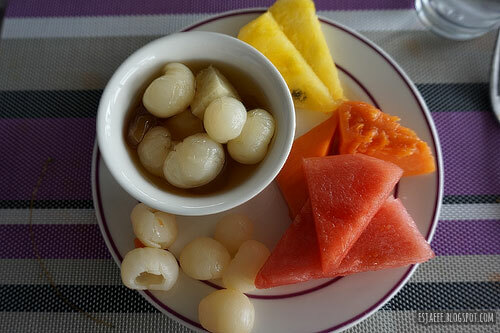 They also had a bunch of fresh fruits! I was so happy they had longan and papaya! 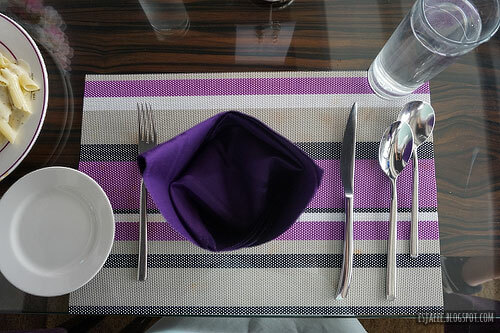 Overall, the experience with this restaurant was great. 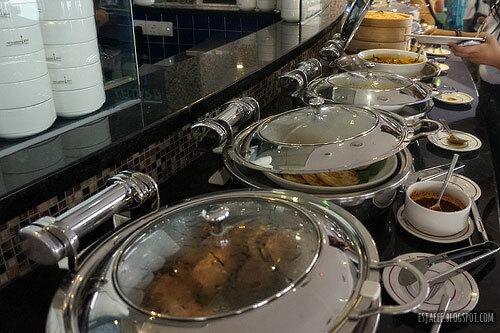 We did not expect much from the quality of food since a lot of reviews stated that it was poor. Due to this, we were not disappointed. I think they did the Asian cuisine better than the Western ones. Was 94-something-RM worth it for this? I think yes. 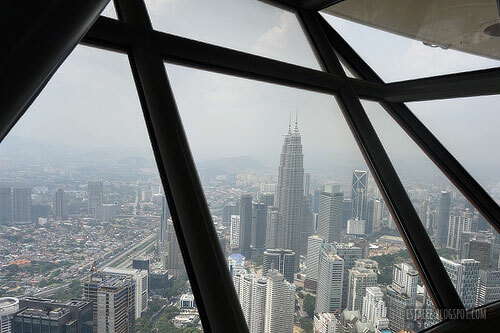 Half of the price is because of the eat-all-you-can food and the other half is because of the view of the city including the well known Petronas Towers. Would I go back if I were given a chance? Maybe not unless someone takes me there again for free. In my opinion, this place is good for first timers to experience. If I would be in KL, I would go to the local restaurants instead. If you already have gone to this, don't let my opinions hinder you from going again. I am just writing this from my own personal point of view and taste. I hope you somewhat find this post helpful. Let me know what you think in the comments and have a good weekend ahead!